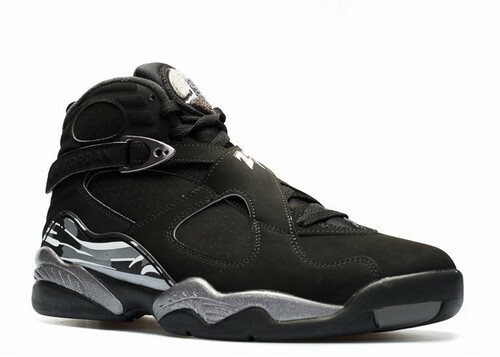 This is the Air Jordan VIII (8) Retro in the black and chrome color way. 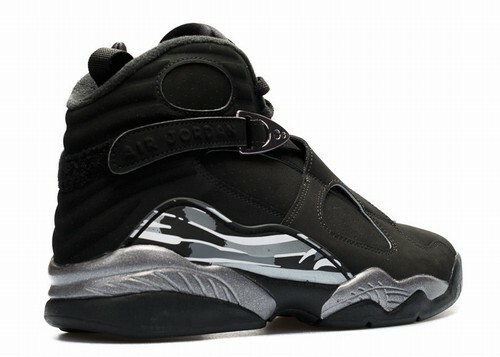 This pair is a true retro color way in that it wasn't of the original 1993 color ways of the AJ8. 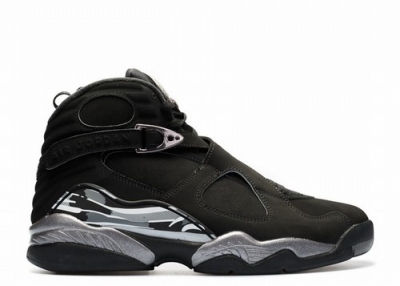 Upon release it became an instant classic, sharing the mostly black upper of the "Playoff 8s" and "Aqua 8s" except bringing Chrome in as an accent. 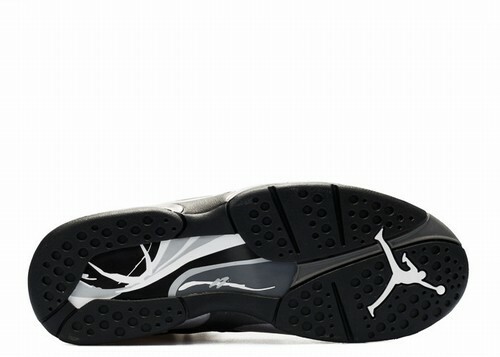 This is the closest thing to a "Blackout" pair of AJVIII and definitely fits the "All Black Everything" mantra.